Advances in technology have made it easier than ever to create a highlight video for your rental property. Learn how video marketing for rental properties makes a big impact and what to include in your highlight video. Your highlight video should clearly feature all rooms in the apartment to attract interest. If you’ve got desirable amenities or high-end finishings, show these off, as well. They could be a selling point for someone. After you’ve showed the inside of the property, take the cameras outside. Display any parking lot, patio, backyard or other common areas that might interest a potential resident. To maximize engagement and drive leads to your apartment, stage the unit for the video. Set the dining table with plates, fresh flowers or a bowl of fruit. Use throw pillows and blankets on beds, sofas and chairs. Give the unit some curb appeal with a floral wreath on the door, a fresh pot of flowers, or a cheery doormat. You can either create a video from scratch by doing a walk through in your rental, or you can compile a photo slideshow using existing property photos. A video made from photos will suffice. Though a walk through may be more exciting, since it allows viewers to see the transitions. Once you’ve created the video, put it on your property website, share it on your social media, and upload it to a video-sharing platform, such as YouTube. A video allows viewers to imagine themselves in your apartment. This is a powerful marketing technique because it builds excitement before the first visit. By the time viewers arrive for a walk-through, they have already imagined themselves living in the unit. By posting your video to social media, you can reach a broader audience for your open unit. Viewers can share your video on social media to exponentially increase your reach. 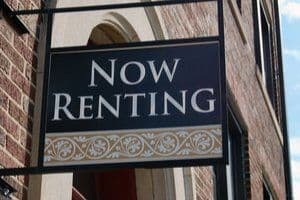 If you own a multi-unit building and have several vacancies to fill at once, this is a powerful way to maximize your exposure without paying a lot for advertising. You can re-use the video each time you need to rent out the apartment, which represents time and money well spent. If you have a website, there is an additional benefit to using videos: Search engines value video content. Thus, by developing and sharing videos for your units, your rental website could rank higher in search results. If you are in a renter’s market, anything you can do to stand out can help you fill open units. If you are one of the first local landlords to use video for marketing, you stand to gain a competitive advantage. Your video can continue to attract interest once you’ve filled the unit, essentially serving as an evergreen advertisement. Multi-unit landlords may be able to easily rent out units once tenants decide not to renew from the pool of interested leads who saw the video. For more tips on how to advertise a rental property, become an American Apartment Owners Association member. Members receive free educational webinars, state-specific landlord forms and other perks.